I went to University in Boston. Don’t ask me why but I had it in my head that I had to leave home after highschool, live in another city (another country, as it turned out), get some space from the town where my parents live, where I’d spent all of highschool and lived since I was 13 years old. What I learned while I was away was just how much I love being here, in Toronto. My Boston friends still laugh at the extreme enthusiasm with which I convince them to visit my hometown, but when they finally agree to come- Bostonians and New Yorkers all skeptical about Canada’s greatness- the city never fails to win them over. Because it’s the best place there is; that sounds hyperbolic, but I’ve been lots of places, and I’ve never found a city as vibrant and welcoming and just plain cool as Toronto. In the past year, this firm-held opinion of mine has grown immeasurably due mostly to the influence one man has had on the artistic and cultural experience of Toronto. Downtown, in the heart of the ever-gorgeous Distillery District, sits the city’s most valuable performance space: The Young Centre for the Performing Arts. The beautifully designed venue sports a spacious lobby with The William Hutt (*moment of reverence*) Library and a bar that serves everything from local beers and good wines to delicious espresso drinks, chai hot chocolate, gourmet sandwiches, soups and salads and the best fresh-baked cookies this side of my mother’s kitchen. It’s also home to no fewer than four diverse and convertible theatre spaces (not to mention studios, classrooms and offices). 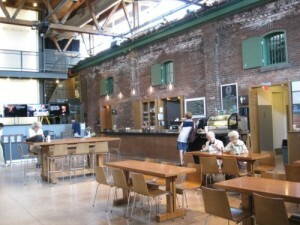 This space was built in 2006 to house George Brown College’s theatre department and a little company called Soulpepper. Its General Director is Albert Schultz and it’s from this perfect little slice of the city that he has designed and implemented more city-shaping initiatives than any other arts professional in recent memory. When I’m down in the Distillery, I’m in Albert Schultz’s Toronto, and there’s nowhere in the world I would rather be. The Young Centre poobah is also (or, rather, coincidingly) the founding and current Artistic Director of Soulpepper, a thrilling repertory company that is in many ways the centre of Toronto’s theatrical community. 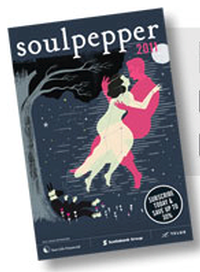 At only 15-years-old, Soulpepper easily rivals the acclaimed Stratford and Shaw festivals in the acting talent it attracts and with a year-round season of diverse works, it’s the unrivaled go-to company for quality productions in Toronto. 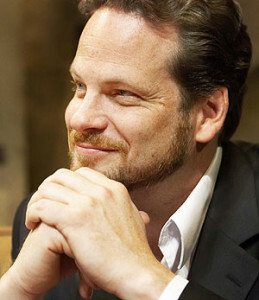 And Schultz is at the centre of it all as the face of the company as well as a participating actor and director. The upcoming 2012 season hosts yet another lineup of promising productions covering all genres and periods. I’m particularly looking forward to seeing Kim’s Convenience again, the 2011 Fringe festival hit written by Soulpepper Academy graduate Ins Choi, as it kicks off the new season on January 12th. In February, My Theatre favourites Evan Buliung and Gregory Prest will take on the intense Long Day’s Journey Into Night with Soulpepper’s go-to actress Nancy Palk in O’Neill’s most demanding role, while the super wonderful Oliver Dennis and Mike Ross will appear with Diego Matamoros in High Life directed by Stuart Hughes. Schultz will direct Home in May and David Storch will take on Speed-the-Plow in July (Mamet’s always done well for Soulpepper, being that they’re mutually awesome and all). Big name Kenneth Welsh will return to the stage with The Sunshine Boys and Schultz will direct The Crucible followed by a remount of his hit production of another Arthur Miller piece, Death of a Salesman. Endgame (Lord help us all, but if anyone can convince me to like Beckett, it’s Soulpepper), You Can’t Take It With You, The Royal Comedians an A Christmas Carol round out the eventful season to come. As an actor and performer, Schultz has quickly become a favourite of mine in my first year reviewing the company. He has an affable charm that makes him a superb figurehead (he can be seen wandering the halls of any Young Centre event, schmoozing and taking in shows) but he’s also in possession of an incredibly unique blend of passion, seriousness and fun. Everything he does is executed seemingly effortlessly (the mark of a lot of effort) and he consistently has audiences eating out of the palm of his hand. Albert Schultz gives a sense of enthusiasm that’s both unmistakable an infectious, a quality that’s never more clear than at the Young Centre Festivals- weekend long events celebrating the arts, conceived by Schultz and the team and at The Young Centre (including 12 resident artists). A man whose job it is to run (and direct for, and act in) one of the most successful theatre companies in the country, you’d think would be content to just sit back and enjoy his work, but Schultz seems intent on supplementing it with celebrations of music and the spoken word at The Young Centre’s Global Cabaret and Word Festivals. Once a year, The Young Centre is filled with 3 days worth of Toronto’s greatest musical talent at The Global Cabaret Festival. This year’s was at the end of October, and it was the coolest weekend I’ve ever spent in this city. The 4th annual showcase featured more than 150 musicians in 44 performances from Oct 28-30 and was composed of 3 types of cabarets: The Featured Artist Series showcased, well, featured artists, including some of Canada’s most legendary talent (Jackie Richardson to Sharron Matthews to Daniel Taylor) performing their signature material. 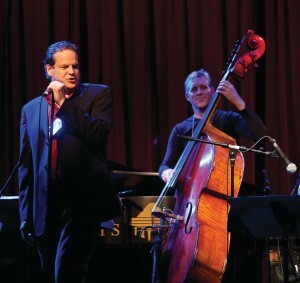 The Album Series was a set of tributes to the great artists and songwriters of the world (The Beatles, Paul Simon, Carole King, and more) music directed by the festival’s resident artists and each featuring a plethora of guest stars. Finally there was the Theatrical Cabaret Series, which consisted of re)Birth: E.E. 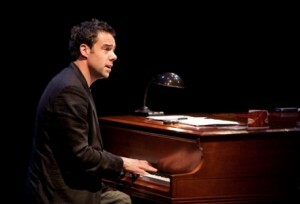 Cummings in Song, a Soulpepper original re-mounted from its earlier run, and The National Theatre of the World: The Carnegie Hall Show, a completely improvised musical event that was different at each performance. I kicked my weekend off early Saturday afternoon at Albert Schultz’s kids cabaret Young At Heart. The casually charming concert (which Schultz has performed for over a decade and recorded for the CBC) is a loving tribute to comedian/singers like Danny Kaye and a celebration of youthful wonder (he does a “cat medley” that includes “Everybody Wants to be a Cat”, “Tigger” and “If I Were King of the Forrest”, which he delivers in endearing goofy voices); it also features priceless contributions from the great Don Francks and Jackie Richardson. Housed in the Michael Young Theatre, beautifully transformed with cabaret tables and twinkling candles, Young at Heart was my favourite cabaret of the whole wonderful weekend and showed off exactly what it is that makes Schultz so incredibly good at the coolest job in the world. Next, I was lucky enough to catch Jackie Richardson’s own cabaret, a delightful hour of jazz and blues as delivered by one of Canada’s most awesome performers. Richardson’s show dragged only a little as she got lost in some of her more wandering anecdotes (most of which were simply hilarious) but the power of her voice and her engaging stage presence proved impossible to ignore. 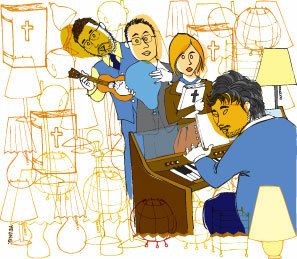 Things slowed down from there when I wandered cluelessly into The Stan Rogers Songbook. Headed up by endearing performers like Miranda Mulholland and the endlessly charming Brendan Wall, I’m sure this particular cabaret was wildly entertaining to fans of Stan Rogers’ downhome melancholy, but I found it a little less than rousing (through absolutely no fault of the performers). The reason I went was to see one of the featured guests, Mike Ross, who delivered a couple strong vocals and livened up the proceedings with some cute banter, an anecdote about his expected baby (6 days overdue by then) and some fake rivalry fun (he accidentally knocked over Wall’s guitar). Standing in line for a later show I overheard the audience members behind me discussing the E.E. Cummings piece that Ross was a major contributor to: “That Mike Ross is a genius” is not an uncommon sentence to hear at The Young Centre but that doesn’t make it any less true. I thought he was great as a conflicted sociopath in White Biting Dog, then amazing in Acting Up Stage‘s Leonard Cohen/Joni Mitchell tribute, but the boyishly charming multi-hyphenate seems to whip out another mastered skill every time I see him and impress me even more. I’m just sad that at The Global Cabaret Festival I only got to see him sing Stan Rogers. Next up was Sharron Matthews, of whom I’ve heard much but seen very little. 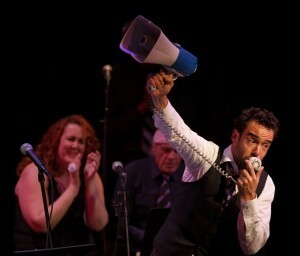 The exuberant singer lived up to expectations with one of the most fun cabarets of the whole festival. With more of a focus on storytelling than the rest, Matthews gave the outright funniest performance I saw, complete with her divalicious takes on popular songs and a vicious demand for the monstrous Rob Ford to “get out of office and we’ll feel alright” (sung to the tune of Bob Marley’s usually peaceful “One Love”). Matthews’ exuberance comes with a certain degree of self-righteousness, earned from a bullied childhood and years as an industry underdog, but that can be forgiven when she makes the glasses tremble with her powerful belt. After that, I made the mistake of trying to get into The Beatles’s Abbey Road from the Album Series at 8:15, missing my last chance to see the E.E. Cummings show I’d missed earlier this year at Soulpepper. When The Beatles turned out to be too popular (duh! ), I called it a night. I spent my Sunday with a musician friend of mine who was working at the festival instead of scouting out the rest of the Featured Artist Series (I figured between Schultz, Richardson and Matthews I’d gotten my money’s worth). After dinner, my media pass got me in to see the final few minutes of Prince’s Purple Rain, which I was glad to have mostly missed after musical director Suba Sankaran’s gratingly forced enthusiasm proved too much for me to handle. At 9:15 I capped off my excellent weekend at Toronto’s coolest yearly event with the most popular show of the festival: Abbey Road. It was alright, not as memorable as I would have liked. After some of the brilliant cabarets earlier that weekend and the example set by Reza Jacobs’ innovative takes on the Mitchell/Cohen songbooks, I’d come to expect a little re-interpretation when dealing with songs as famous as a Beatles track. But with the exception of a little extra drumming, the famous tunes remained largely untouched, delivered prettily but with a somewhat disappointing sense of adulation. But a few underwhelming shows aside, the Global Cabaret Festival was freaking cool. The Word Festival, which took place 2 weeks ago, was a less glamorous affair just in its first year of existence, but the slightly nerdy low-key-ness of the weekend gave it a sort of passion project feel that made it all the more fulfilling. 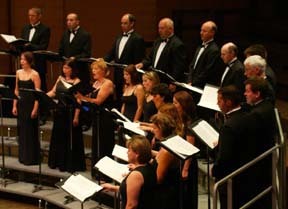 On the festival’s opening night, Schultz MC’ed the Elmer Iseler Singers concert. He told a story about being a 15-year-old high school student asked to read Hamlet aloud in class. Most of the other students were struggling but he sailed right through, despite having never encountered Shakespeare before. He described the feeling of reading the verse like the experience of coming home, and realized that the reason he was so comfortable with the melodic, old-timey text was because he’d been raised going to church and singing in the choir; he’d been raised on the King James Bible. A classical acting career later, Schultz landed on the additional realization that we were in the year of the KJV (King James Version)’s anniversary, 1611, and that that was the same year Shakespeare produced his final play, The Tempest. So, for the 400th anniversary of 1611, Schultz and The Young Centre organized a celebration of the spoken word, honouring the publication of the two most influential texts in the English language- The King James Bible and The Complete Works of Shakespeare. It’s a fascinating idea and resulted in a weekend of events, some utterly memorable, some wonderfully inspiring and some a little bit boring. A main attraction of The Word Festival was the Live Reading of the KJV in the lobby of the Young Centre. 24hrs a day, 76 hours straight, someone was reading until the entire book had been spoken aloud at the festival. Soulpepper company members, the Young Centre resident artists and other prominent performers were called in to lend their voices to the reading, which concluded Sunday afternoon as Schultz read the final words and, punctuated by a fire alarm with a sense of humour, closed the book on Revelations. The whole thing streamed online, in case you were awake at 3:30am and just wanted to make sure they were still going, and was a fascinating thing to encounter as you moved from performance to performance. Before the Elmer Eisler concert, the actual first event of the festival was a somewhat underwhelming introductory Shakespeare Panel that addressed the Bard’s global influence. A Shakespeare nerd to the core, I was super psyched to hear from Professor Jill L. Levenson (who edited the Oxford R and J!) and Dr. Toby Malone (Soulpepper dramaturg, among other things). But what I found was that a panel discussion with festival artists (or, specifically, Schultz, if we’re being honest here) would have been a lot more engaging. Academics like Levenson, though knowledgeable, can get caught up in theory (Levenson, for example, read from a prepared speech much of the time), whereas theatre actors/directors or just plain Shakespeare lovers are free-er to speak off-the-cuff, something Malone was much better at and panel guest Anthony Del Col (co-author of the comic book series Kill Shakepeare) excelled at. I would have loved to hear their in-depth thoughts about the texts themselves, to know which villain most inspired Del Col’s narrative or pick Levenson’s brain about what she thinks is the most important element in Romeo and Juliet. As it was, the stiff panel saw the expertise of its guests a little wasted. But then I moved on to the Elmer Iseler singers for 2 hours of choral music that featured enough highlights to distract me from the fact that I was spending 2 hours listening to choral music. As narrated by Schultz, the concert was a lot more fun than expected. Reading corresponding Shakespeare and KJV passages, telling stories and cracking jokes, Schultz spread his love of choral music to the audience (as well as contributing some memorable sonnet reads and a truly great rendition of “All the World’s a Stage” with the casual air of someone for whom Shakespeare is their native tongue). The singers themselves were beautiful, singing a combination of complexly harmonic contemporary pieces, some songs from Shakespeare plays and even a few jazz numbers accompanied by Gene DiNovi and Dave Young. They shone the brightest in the acapella numbers where their incredible layering really came through. Next up was National Theatre of the World: Impromptu Splendor. The award-winning 3 person improv troupe’s play series features a brand new hour-long improvised play at each performance, generally done in the style of a particular playwright (Mamet, Miller, etc…). At The Word Festival, NTOW did two performances: one inspired by the KJV and one inspired by Shakespeare. Though I’m sure I would have loved the latter, the former was the one that fit into my schedule and, though impressive, it was sort of underwhelming. The bible’s just so abstract for long-form improv to use as inspiration, the stories themselves more allegorical than dramatic (and NTOW had the misfortune of finding an aged Solomon groupie in their front row, who tripped them up a bit by guiding them towards the Old Testament king and away from the much more well-known and therefore spoofable New Testament Jesus stories). The way that the three players picked up on each others’ cues and and constructed stories on their feet was tremendous, making me wish all the more that I had gotten to see what they did later in the festival with the complete works of Shakespeare. I returned to The Young Centre that Sunday for a jam-packed Word Festival calendar that made up for my missing Saturday (mostly, I only missed the Song of Solomon movement piece that I wasn’t all that interested in and The Festival Cabaret, which I was very sorry to miss since it was hosted by, you guessed it, Mike Ross). I started Sunday with The Gospel According to Mark, which I thought would be a dramatic interpretation but was in fact just a reading of “The Gospel According to Mark”. But that reading was done by stage legend Kenneth Welsh and if there’s one truth that was unavoidable at The Word Festival it’s that you haven’t heard the bible until you’ve heard it read by a proper Shakespearean actor. Welsh, whom I’ve never actually seen perform outside of The Word Festival, gave a spectacular reading- grand and evocative, surprisingly funny at times. Nonreligious as I am, I may have zoned out from time to time (it was 2 hours of just bible, after all) but the overall effect was a powerful one. 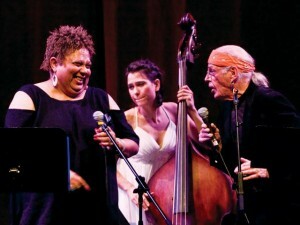 Besides, I had all sorts of fun to look forward to at my next performance- my most anticipated of the festival. I first heard about Kill Shakespeare when Stratford Festival Assistant Artistic Director Dean Gabourie gushed about it in his My Theatre Nominee interview earlier this year. I’d been in touch with co-creator Anthony Del Col about an interview for sister site My Books, but had simply run out of time and never gotten around to reading the comics. So I was beyond thrilled when The Word Festival hosted a staged reading of the series. Creators Del Col and Conor McCreery were joined on-stage by some of Soulpepper’s best talent (including Prest, Malone, Wall from earlier in this giant article). The cast sat in two rows behind microphones, providing sound effects and the voices of the characters in Del Col and McCreery’s epic battle of Shakespeare’s heroes vs. Shakespeare’s villains to save or kill the wizard Shakespeare. The whole presentation was pretty cool, the cast each voicing multiple characters, providing the shouts of a crowd, the murmurs of spirits, hoof prints, the sound of the wind and whatever else the story called for (Wall even played the score on a small keyboard to the side of his microphone). Andy Belanger’s beautiful comic art was projected on a large screen as the story was told, giving the audience an excellent experience of the comic books, just a little more lively. 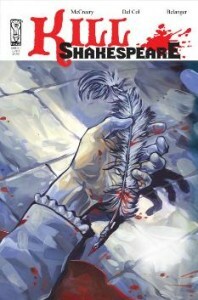 After Kill Shakespeare, was what turned out to be one of the best events of the weekend- Stand Up Shakespeare. 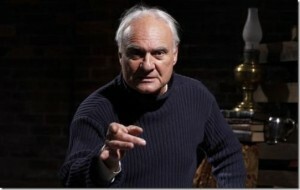 In a nice reversal from his serious intensity during The Gospel According to Mark, Kenneth Welsh took to the cabaret stage as a drunken Shakespearean standup comedian, pulling lines from Shakespeare’s cannon and piecing them together to create a coherent and laugh-out-loud funny standup act. He sang songs (accompanied by, wait for it…. Mike Ross! That guy is everywhere), did a little puppeteering, drank a lot, and after about 20 minutes of such wonderful tomfoolery, the show appeared to already be over. So Welsh then pulled out a presentation board with dozens of character names written on it and asked the audience to “pick one”. For the next 40 minutes, one of North America’s leading classical actors performed monologues on demand, brilliant renditions of the most famous works in the English language, just nestled in his pocket ready to be pulled out for the entertainment of 30 odd people in the Young Centre cabaret on a November Sunday afternoon. It was remarkable to see, if a little self-indulgent. Welsh “howl”d his way through Lear‘s heartbreaking 5.3 and joyfully exclaimed the Berowne-y “Love Combo”. He delivered an obscure Launce speech from Two Gents, then the rousing St. Crispin’s Day from Henry V (stunning, his best by far). A bitterly hateful Lancelot Gabbo was followed by that play’s more famous (and PC) “if you prick us do we not bleed” from Shylock. “All the World’s a Stage” made its second appearance at the festival (I won’t say whose was better, but it was Schultz’s) then the 69-year-old Welsh wooed youthfully as an exuberant Romeo, grumbling “they never let me do that one” as he finished. There’s nothing quite like a renowned actor playing for the sake of play, and Welsh’s brilliant tour through whatever Shakespeare monologue we willed was something I would kill to see again. 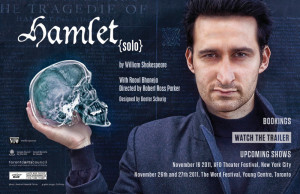 After that I caught the end of Raoul Bhaneja’s Hamlet (solo), a remarkable feat of nuanced characterization, human determination and insane line memorization. Bhaneja is a wonderful performer, each character being at once remarkably distinct from the others but still subtle and not over-played. With a bare stage, a single spot, no props and just black costuming, Bhanja’s Hamlet is compelling and intricate, though I can’t imagine I’d have been able to follow had I not known Hamlet incredibly well going in. The production is brilliant nevertheless, full of interesting interpretations (Polonius channels the actor’s father with a subtle posh Indian accent) and compelling drama. Alone on stage, Bhaneja’s focus is unparalleled- the fire alarm went off near the end of Act III so Bhaneja calmly broke character to explain what was going on and wait it out, cracking jokes and sipping water, then he slipped right back into it with mere seconds to refocus when the alarm stopped. Hamlet (solo) is massively impressive, but more than anything it made me want to see what the capable and complex Bhaneja might do with a properly supported shot at the title role alone. The final show of The Word Festival was a comic look at The King James Bible through the eyes of 4 devout Christians; something I was hesitant about seeing but ended up loving more than anything else at the festival (yes, including all the Shakespeare). The KJV:The Bible Show is filled with rousing original songs and hosted by 4 captivating artists, each of whom take to the mic at least once to share a monologue of their experiences with The KJV. What makes The KJV: The Bible Show unique is its earnest appreciation for its subject and unabashed honesty about what it means to be a Christian in today’s society. It’s not cool to care about or believe in anything anymore, as Ins Choi points out in one of his superb monologues, he’d get nervous whenever someone found out he was a Christian. Usually the voices pointing such things out are harsh and stubbornly conservative ones on Fox News or worse, but the irreverent self-awareness of The Arts Engine (Choi, Rebecca Davey, Kris Van Soellen and Arthur Wachnik) gave the argument a whole new light. The KJV: The Bible Show is a wildly funny, completely dorky, honest presentation of what The KJV is, the influence it’s had, what it means to these 4 people and even odd little factoids about the book. The rollicking good time simmers down as Choi delivers a hyperbolic and senseless sermon calling for everyone ever to “repent” that’s at once funny and disturbing, but it’s supposed to be. The performers then each take to the microphone to explain the ways in which they and the world have used The KJV as a tool for hatred and evil. It’s a startlingly honest show that almost brought me to tears as the multiple sides of what’s supposedly The Good Book were highlighted. The KJV: The Bible Show is a remarkable piece of theatre that entertains as much as it forces you to re-organize your thoughts on what it means to be a believer of any kind. I don’t think there’s anywhere else in the world where so many brilliant theatre artists and musicians could come together in a place like The Young Centre. Across the Soulpepper seasons, The Word Festival and the Global Cabaret Festivals, the diversity of culture, style, generation and point of view is unbelievable; it all feels very Torontonian somehow (and not just because the artists weren’t all New York imports, they’re ours). The Young Centre is a place for artistic celebration, no matter what the trappings, and its Albert Schultz who’s let it be that way. Whether I’m chatting with actors at the opening of Soulpepper’s Parfumerie, laughing at Bhaneja’s daffy Polonius, or sitting in the back of the Michael Young as a packed house taps their toe alongside Jackie Richardson, I can’t help but grin because this is where I live. Take a tour of The Young Centre with Albert Schultz.